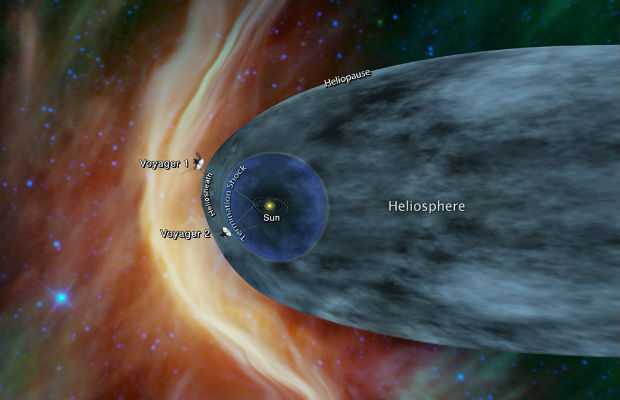 The US space agency NASA recently confirmed that the Voyager 2 probe is heading outside the influence of the Sun. Launched way back in 1977, Voyager 2 already crossed the Kuiper Belt and will soon surpass the range of Sun’s magnetic field. However, it is not the first probe by NASA which crossed into interstellar space as the Voyager 1 already headed outside the Sun’s magnetic field in 2014. And to celebrate this auspicious occasion, here goes the five interesting facts about the Probe. 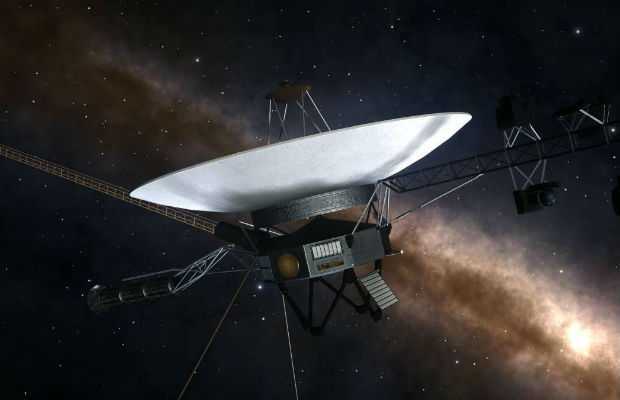 Launched over 40 years ago: Launched on 21st August 1977, the Voyager 2 probe has already crossed the distance of 17.75 billion kilometers away from our planet. The probe is in space for more than 41 years and one month now and still sending images of the planets. Crossing the gas giants: Voyager 2 probe is the only man-made object to cross all four gas giants of our solar system, Jupiter, Saturn, Uranus, and Neptune. The probe flew past Jupiter on 9th July 1979 and Saturn on 25th August 1981. It was then marked its fly-bys past Uranus on 24th January 1986 and Neptune on 25th January 1989. Interstellar space saga: The Voyager 2 probe reached the heliosheath, the outermost zone of influence of the Sun, on 30th August 2007. Scientists checked for data transmission after it went through the ‘termination shock’ as it moves from one sphere of magnetic radiation into another. Golden record to interact with aliens: The Voyager 2 probe contains a Golden Record, same as Voyager 1, consists of Earth’s basic information and the history of the human race. The record has 115 images of our planets and the probe. Besides, it has human greetings in 55 different languages. It also has the sound of the earth including the sound of tides, birds, wind, and thunder. Moreover, the record has 90-minute of Western and Eastern classical tunes. Voyager 2 in Pop Culture: A similar model of Voyager 2 was used as a space rocket in the famous ‘Star Trek: The Movie’. The movie featured its very own V’Ger which is strikingly similar to the prototype of Voyager 2 designed by NASA. Besides, the famous TV show ‘The West Wing’ also mentioned the probe. NASA’s InSight Lander Successfully Lands on Mars; Survives 7 Minutes of Terror.